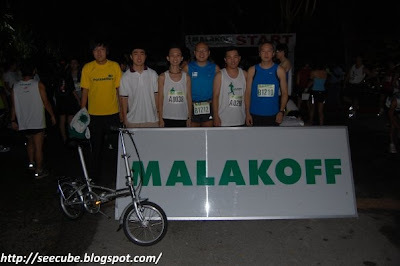 Malakoff Run... it's a 12km run, which is my first time running with my running mates. 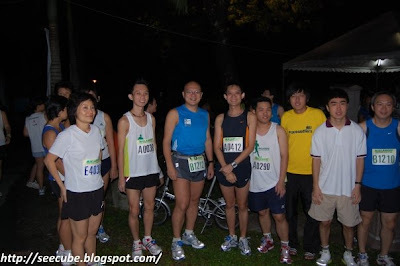 Although im much slower than them, yet im quite enjoy the run. group photo before the run started. This year Malakoff Run's route last minute change, i got no chances to run through the Pencala Link Tunnel. So dissapointed. Wish next year the tunnel route are included. 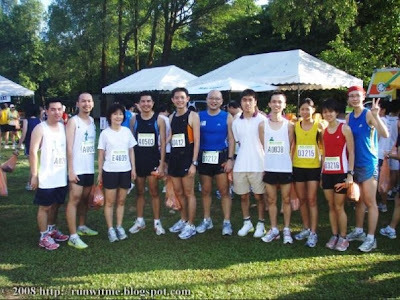 Another group photo after run. it's looks pewter, but it's not. it's quite light, and i not sure what's made from. now, im got more reasons to join a run.